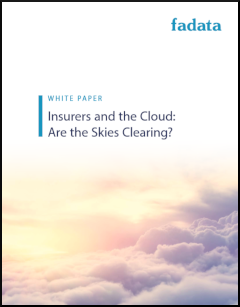 White paper: Are the skies clearing? Financial services cloud adoption: where are we now? Which new factors are driving cloud adoption? How is the assessment of cloud adoption risk changing? The classic drivers of cloud adoption remain strong but the need to rapidly deploy digital engagement and analytical technologies is quickening the pace.